More Wagter "Doing His Thing"
Thanks so much for sending in the wonderful pictures of your own German Shepherd to us here at Total German Shepherd - all the way down in South Africa. Very cool! We were so happy to see them and I know the other readers will enjoy seeing them too. 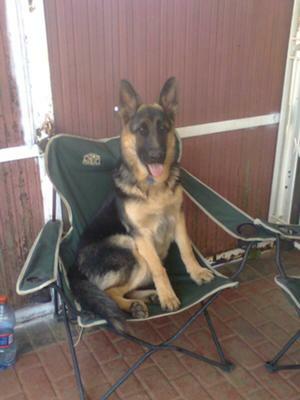 Thanks again for helping spread all the "German Shepherd goodness"!